This post contains spoilers for anyone who has not watched the first 3 episodes of Broadchurch. As the investigation into Danny’s murder progresses the town seems to be twisting and turning into itself under the focus and suspicion of both the police investigation and the media witch-hunt. Let’s take a closer look at some of the Broadchurch residents…or should I say: potential suspects. 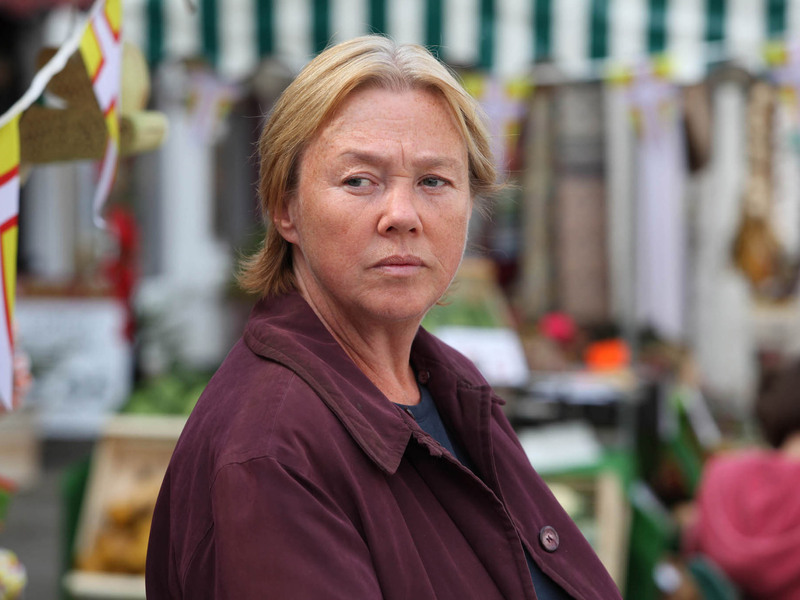 First we have Pauline Quirke’s Susan Wright. In one of the very first scenes, Mark is seen to be friendly to almost everyone he meets. However he and Susan bump into each other and there is no real acknowledgement. The implication may be that they do not know each other but then we see Susan at the beach when Danny’s body is discovered. She is smoking away while looking on with keen interest. If she is not a friend of the family is it pure inquisitiveness that brings her to the murder site? Later when she is out for a walk and sees DI Hardy she turns around and leaves. If she was so interested in the murder wouldn’t she try to make small talk and see if he was willing to share anything with her? When DI Hardy and DS Miller come to ask her about the keys to the cottage at Brier Hill she is nothing less than defensive. And of course we catch a glimpse of Danny’s skateboard in her cupboard…. 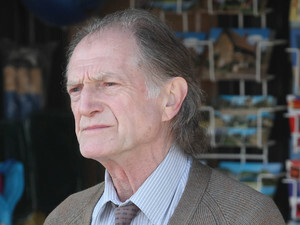 However, Susan does seem to have a good relationship with Jack (played by the multifaceted David Bradley) who runs the Newsagency. They seem quite relaxed with each other which is at odds with their interaction with the other townsfolk. Is it possible that they share a secret? And Jack – is he just old or keeping information from the police for a reason? His main worry, though, should be the journalist from out of town, Karen. In slighting her he has peaked her curiosity. She is starting to ask questions about him. Will she discover anything? On the opposite end of the age spectrum we have Adam Wilson’s complicated Tom. Tom seems withdraw and angry – not that anyone is really noticing. Any behaviour is put down to grief over losing his ‘best friend’ Danny…but maybe they need to look at Tom a little closer? Deleting phone messages and computer files is not standard grieving behaviour and he seems to have mixed emotions when it comes to Danny. Is he really as upset over his friend’s murder as everyone believes? Arthur Darvill who plays Rev. Paul Coates has also caught my eye. He seems very concerned about the Latimer family and in particular Beth. He is “too” concerned? Mark assaulted him when he felt he had overstepped, but despite that he still called on Beth and made the offer of a memorial service. He seems to have a complex relationship with the family. Is it because of more than just religious beliefs? And what about Mark, played with complexity by Andrew Buchan? Mark is making all the wrong moves. As Danny’s father he gives the impression that he should be immune from suspicion but his unemotional responses and his blatant lying to the police in regard to his whereabouts only make him more of a suspect. Even when Becca Fisher (played by Simone McAullay) comes forward and sheds light on his movements the night of Danny’s death, some doubt about him remains. Finally we have the stranger who claims to be a psychic. No-one really knows Steve (played with reserve by Will Mellor) and he is a creepy figure lurking around the sidelines. After having received ‘messages’ from Danny he attempts to share the information with DI Hardy and DS Miller. Not surprisingly he is met with a hostile and dismissive audience. Instead of letting things be, he then starts following and finally approaches Beth. Is Steve really what he claims to be and is desperately trying to help or is he a heartless monster trying to manipulate those around him? Broadchurch is a town full of secrets and suspicious characters. The joy in watching such a brilliantly written mystery drama is that you don’t know where all the secrets fit in until the very end. While some of them are directly linked to Danny’s murder, others, while heartbreaking, are completely unrelated and their only relevance is in giving us a deeper understanding of why some of the characters have become who they are. Have you worked out whose Danny’s murderer is yet? Who is at the top of your suspect list? (Please no spoilers for those who are yet to watch the complete season). « Broadchurch – Not Your Average Quiet Little Village	» A trilogy of shocks on television this week!